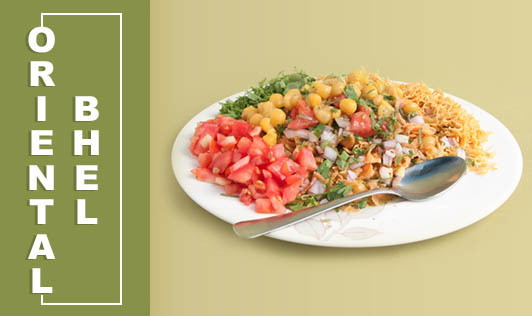 A unique and simple version of oriental bhel you must try. Combine all the ingredients in a saucepan and bring to a boil. Keep aside. 1. Heat the butter and add the onion, garlic and celery and saute for 1 minute. 2. Add the capsicum, bean sprouts, lettuce, salt and pepper and saute for another minute. 1. Deep fry the strips of samosa patti in hot oil and drain on absorbent paper. 2. Place them on a serving plate and top with the stir-fry. 3. Pour the warm sauce over the stir-fry.